As Facebook video ads become more and more common, it’s as important as ever to produce compelling video content. One of the best and simplest ways to increase clicks and views on your Facebook videos is to add subtitles. People consume Facebook at work, on the bus, in the restroom or anywhere they have their phones with them (so everywhere). In many of these places, people prefer to be silent. As much as 85% of videos are watched without sound. Facebook videos are mute by default but that is changing soon. Even with automatic sound, users can adjust their settings to automatically mute. Given that most users keep Facebook silent, ensuring that viewers can at least see the narration matching the video will help viewers have more context for the ad. Subtitles help ensure that your video content is played by the people you are targeting. Image via Pexels. One advertiser recently wanted to bring more users to her site. We tested various creative to see which had the best CTR. A 30 second video drove far more people to the site than other creative (such as Carousel Ads), with a 3.12% CTR over a 4-week period. At the time, the video had sound but not subtitles. After about four weeks of running, the advertiser decided to add subtitles. We ran the new video, with subtitles, in ad sets with the same targeting, and at a time when no seasonal impacts were driving changes to performance. The results of this analysis are remarkable. The subtitled video saw a 65% higher CTR, and 68% more people watched the first 30 seconds compared to the video without subtitles. The subtitles helped catch viewers’ attention and resulted in more people going to the website. Videos require much more production than a normal picture ad. If you have put in the effort to create a compelling video ad, it’s a wasted effort to let your narration go unheard. Adding subtitles is one of the best ways to maximize the potential of your video content. My Video Doesn’t Have Subtitles, What Do I Do? Ideally, you should ask your video producer to create subtitles in your video file. Manually hardcoding subtitles gives you greater flexibility to make the font legible on even the smallest mobile device, and in a color that is easy to read against the video background. 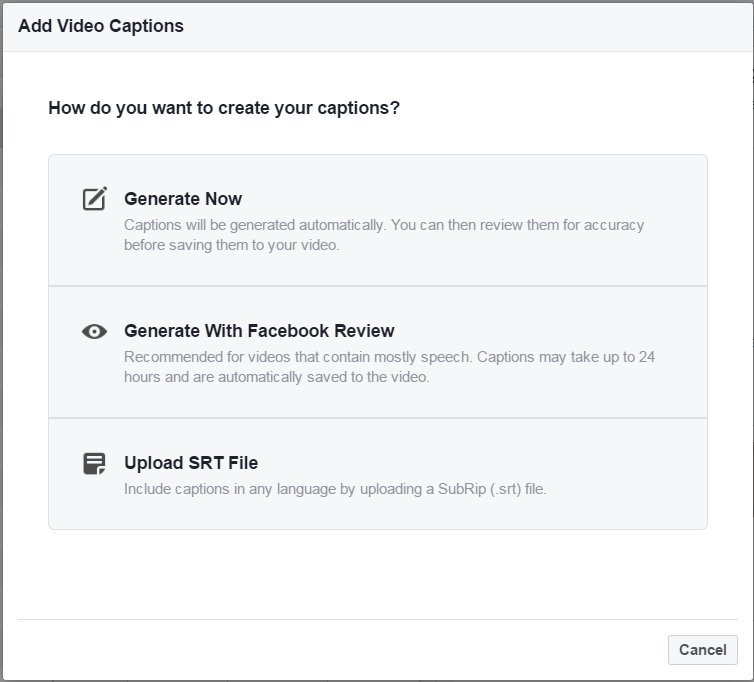 Facebook has an easy process to automatically add video subtitles. In Facebook Business, go to Power Editor and then Create Ad. After uploading the desired video, you’ll have the option to ‘Add Captions’. This button is found below ‘Video Preview’. The ‘Generate Now’ option will generate white text with a black background. The “Generate With Facebook Review” option will do the same but has a longer review process. Although the review process can take up some time, it’s the best way to ensure the accuracy of the subtitles and the captions of your video content. 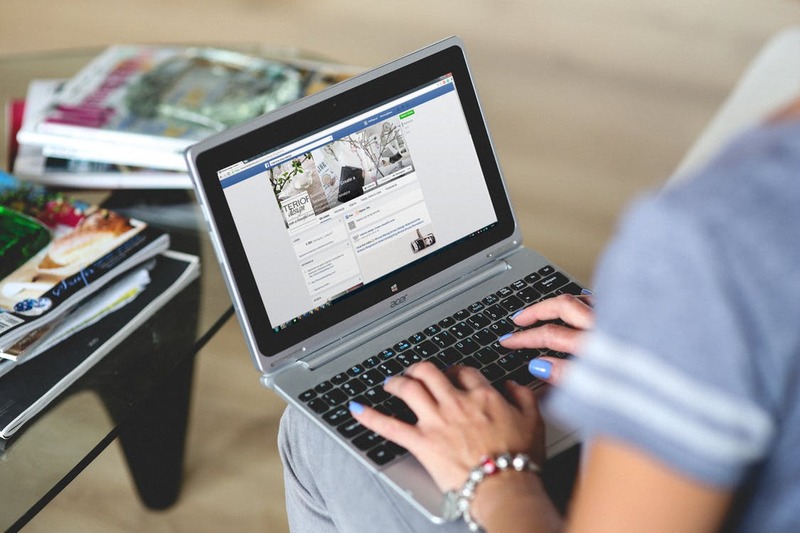 With this simple guide, you should be able to create a more impactful Facebook video!